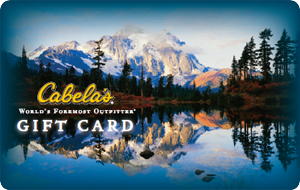 As the World's Foremost Outfitter of Hunting, Fishing and Outdoor gear, Cabela's offers over 150,000 top-quality products to enhance any outing. In addition to a huge selection of catalogs and an industry leading website, the large destination Retail showrooms offer a retail experience like no other! Customer satisfaction is guaranteed.